In this brief examination of the word, we will focus in on the early verses of Titus 2. We studied them in our Men’s group and we were all blessed in the study. I do thoroughly recommend if your church doesn’t, to start small bible study groups, which allow us to have fellowship with one another! You, however, must teach what is appropriate to sound doctrine. 2 Teach the older men to be temperate, worthy of respect, self-controlled, and sound in faith, in love and in endurance. In this passage we learn about the roles of five groups, older men, older women, young men, younger women and slaves. However, we can all learn from all these different groups, after all age is subjective! For example, although I am young, there are those who are younger still, and I have a role to help them. But why does Paul separate people by age? Because life teaches us, and wisdom and experience come with age. It is why young people must listen to the older generation and respect them, and it is why the older people must live lives that show Christ as an example to the younger ones. Most of the qualities Paul writes about aren’t necessarily ‘spiritual’, but it’s about living lives that reflect our faith, lives which go against the culture we may live in. It encourages us to be different, to go against what society teaches. It tells us to teach and help one another. For young men, for myself, self-control is key, and something that all young people probably have problems with, but we must aim for it. What about Slaves? Well Paul is saying something radical here, don’t fight back, don’t be aggressive! Why say such a crazy thing when they are being repressed? It’s because by doing so, they show they are different, that their master may see Christ in them. By their actions, Christ is shown, and perhaps salvation may be there. It is the same for us in the modern day at work. By doing good, we show Christ wherever we are. 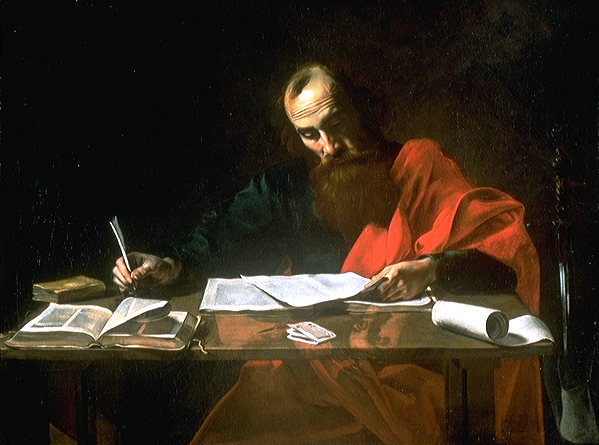 What we find from Titus is a theme of doing good, just turn back a page and you can see that Paul’s focus is on how we live our lives, this theme we found earlier in a previous study. What Paul is showing is that people watch us closely. He says that ‘those who oppose you may be ashamed because they have nothing bad to say about us.’ By living good lives, it proclaims the gospel; it shows the light inside of us. We often get caught up with good works do not save. It’s a phrase, although correct, is a bit of a hindrance, a get out of jail free card; because in saving that, we justify our inaction, our sin, our lives which do not live up to what we preach. Yes, works do not save, but as can be seen in James, faith without works is dead. If you are not producing good fruit, if your life hasn’t changed, then you must really examine yourself closely. Paul pleads with Titus and with us to live good lives, so that people may see that God is amazing! Another verse that strikes me is, ‘so that in every way they will make the teaching about God our Saviour attractive. Living good godly lives makes Jesus attractive! In some way it is a verse that kind of hits the people who say gimics don’t save, its only by this certain way blah blah blah….well apparently us just doing good, living good lives is a way to point people to the Lord Jesus! Now don’t get me wrong, I’m not saying throw everything else away, good lives is it all, but it does show us, that by being good, by doing good, people can find Jesus. I love the word attractive, because I feel some churches, do everything to try and make Him not attractive! So Titus is a great book, and we learn so much from it. In a way, it’s a practical book, it shows us how to live good godly lives that the world may see Jesus. Sometimes we can get bogged down in discussing doctrines, but it’s good to reflect on our lives and how we show Christ. May we all shine brightly for Jesus. Next Next post: A Reformation In How We Sing!